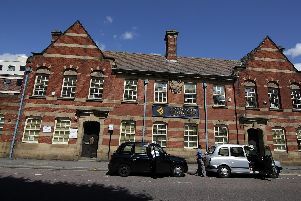 The towers were a Sheffield landmark for 70 years. Bill and Ben, the Ugly Sisters, the Terrible Twins, the Phantoms of the Opera, call them what you will, but to us South Yorkshire folk they were a source of continuity, a sign that you were almost home when, returning from a trip elsewhere, they would come in to view. I grew up only a couple of miles away from them, in Kimberworth, at the other end of the viaducts, so I remember them well. When I was a child, the M1 had just been built, opening up a whole new world to those who wanted to broaden their horizons or who had to travel. Getting on to the M1 at Junction 34 would inevitably entail an encounter with these two majestic giants, as would any visit to Sheffield. Those were the days before Meadowhall Shopping Centre was even a pound sign in the developers’ eyes. Granted, Tinsley’s not a ‘go-to’ place for those seeking unpolluted air. The sewers at Blackburn Meadows are no place to go for a swim! You won’t see the area in any travel brochures, and the Towers were not a sight to behold when it comes to beauty in the conventional sense. However, they represented familiarity, and familiarity in any shape or form is reassuring. They were also idiosyncratic, and whatever people may have thought about them, and said about them, they were ours! Sadly, it was decided that they had to go, and many protests and campaigns to preserve them fell upon deaf ears. On August 24 2008, now living several miles further south in Sheffield 8, I happened to be awake at 3am when the big bang came, shattering the peaceful and still night air. That was the sound of my childhood officially ending.